Kabilas There are 2 products. Kabila Arab sword with curved blade. It has the design of the handle as Jineta Nazari sword and blade like a scimitar sword. It is similar to but longer Gumia. Kabila Arab sword with curved blade and silver finishes. 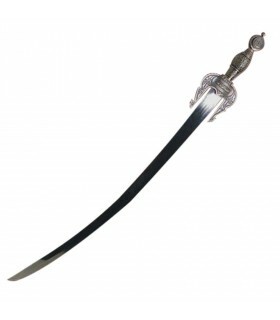 It has the design of the handle as Jineta Nazari sword and blade like a scimitar sword. It is similar to but longer Gumia.